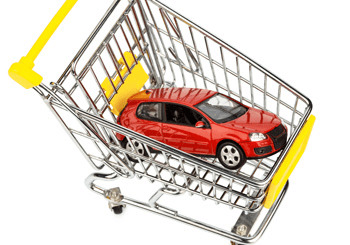 Understanding the advantages of leasing a car is crucial especially if you don’t want to fork out a massive one lump sum to purchase a new or used car. Think of leasing a car as a long term rental, you pay a fixed monthly fee to use a new car for an agreed time period and number of miles. Now your question is, should I lease a new car? This question is being asked more and more recently with the lower prices and wide choices that are currently available. In fact, at Howards Motor Group you can pick a new car to lease from all the brands we sell including Nissan, Peugeot, Toyota, Hyundai, Honda, Citroen and Kia. • It enables you to spread your budget more effectively with fixed monthly payments. Many contracts also include maintenance and servicing too. • As you don’t actually own the car, leasing is almost always cheaper than other finance methods with lower monthly payments and lower down payments. • You’ll have one less bill to worry about as Road tax is included in the cost. • There will be no fuss to sell the car or financial risk at the end of a lease as depreciation is worked into your monthly cost. • If something goes wrong with your leased new car it will most likely be covered in the manufacturer warranty. • Everybody loves that “new car smell”, and with a leasing deal you could experience it every few years. • You have the chance of driving a new car that is possibly better than one that you would normally be able to afford. • Just think, the car that you’ll be driving around will have the newest technology built-in making your driving experience even more enjoyable. • Choose the spec and options you want and impress your friends, family and neighbours with all the latest gadgets. It’s hard to say no to the leasing route with all these advantages! If you are considering leasing a new car you can find more information on the options available at Howards Motor Group here.